Everyone has one, and why not? 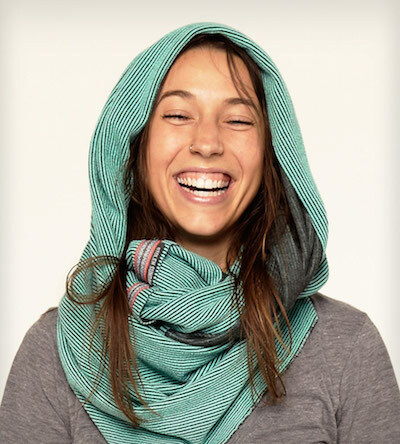 Infinity scarves are stylish, comfortable and easy to wear. 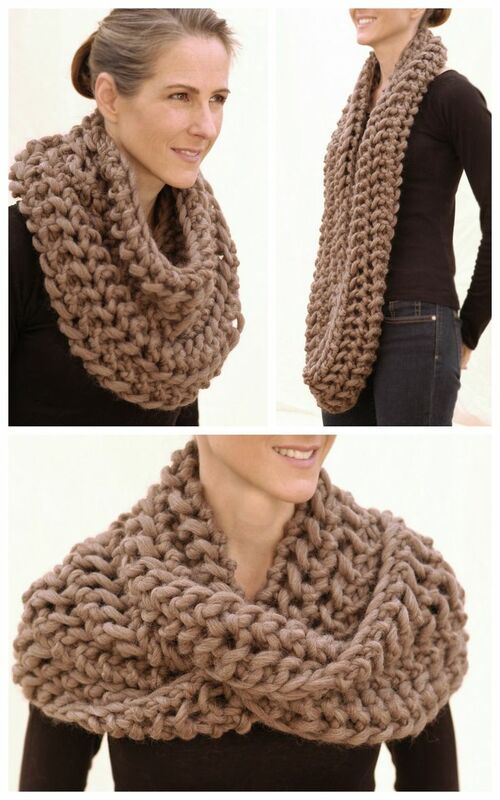 No more knots, or struggling to make you normal scarf stay on! 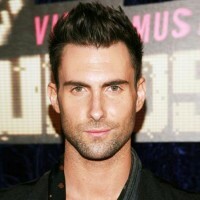 They come in a huge range of styles, colours, and fabrics. 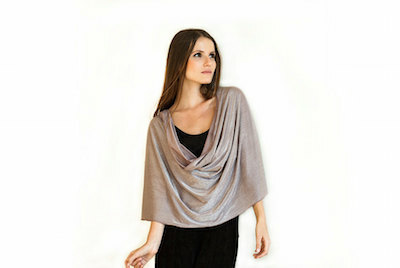 They are perfect for a cozy winter next to the fire place, but also work as a chic coverup on the beach. Their versatility goes further than that. Now, people are beginning to get creative. 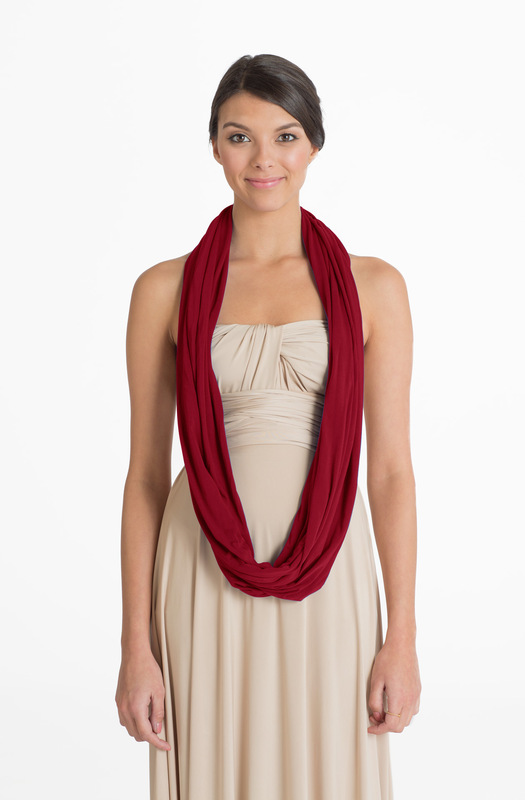 The infinity scarf, is more than a scarf. 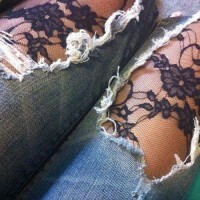 It’s a fashion saving accessory! 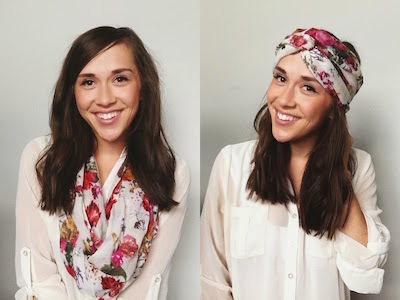 Here are 21 different ways you can wear an infinity scarf! We’ll start simple. 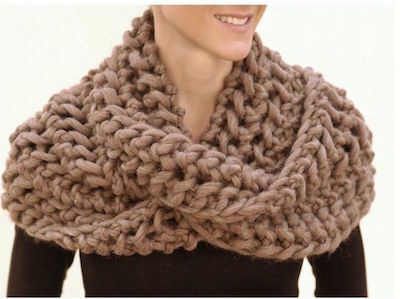 If you own an infinity scarf, you have worn it like this. It’s chill, comfortable and stylin’. And if you’ve done the single loop, you’ve done the double loop. Getting more creative, a light or more decorative infinity scarf makes a beautiful shawl! And you don’t need to worry about pulling it up! 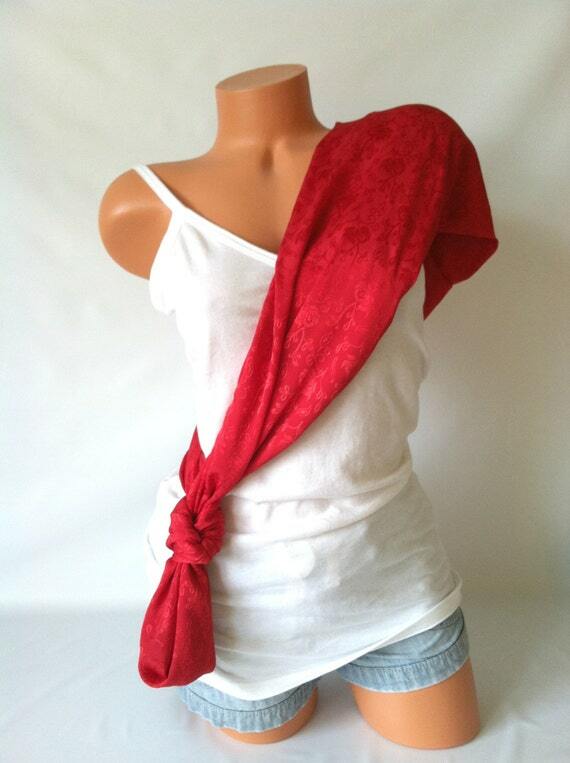 This hippie look is super easy to pull off, but it helps if you don’t have a massive or thick scarf. Cozy, right? With a sleeker scarf this look can become cutting edge and highly fashionable. A cross between the sweater vest and the shawl, this look is great on those chilly spring days. 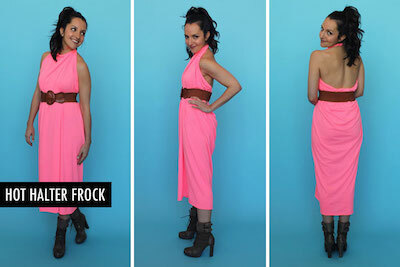 With a particularly long infinity scarf, you can turn it into a halter frock! 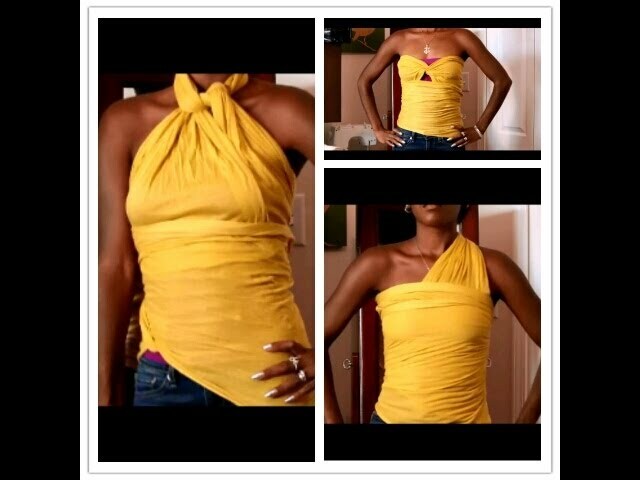 Just safety pin the top and add a belt. A simple variation on the single loop. Stylish and sleek, thin infinity scarf make simply gorgeous maxi skirts. This belly showing look is great for a day on the beach! We’ve all seen this one, but on a side note, it’s a great way to keep the sun out of your face! 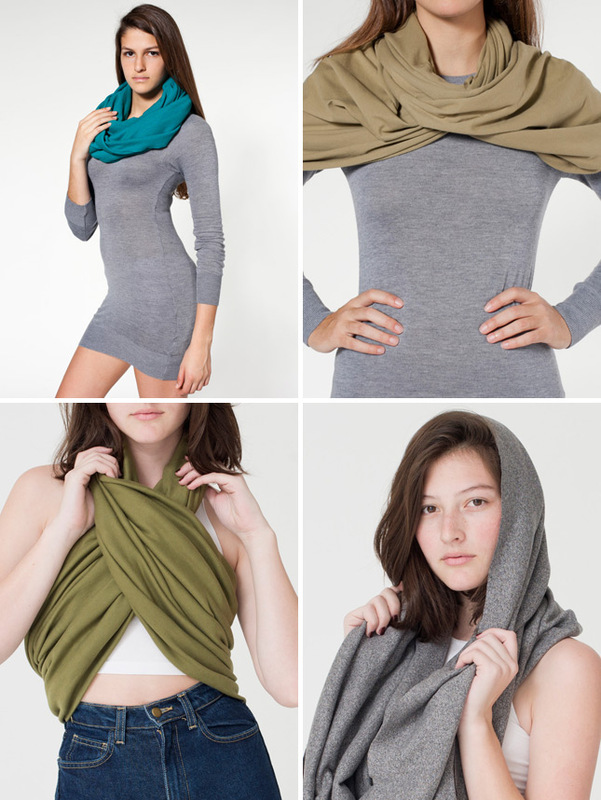 Forget spending money on an expensive baby carrier, use your infinity scarf instead! Who would have guessed it? It looks great too! 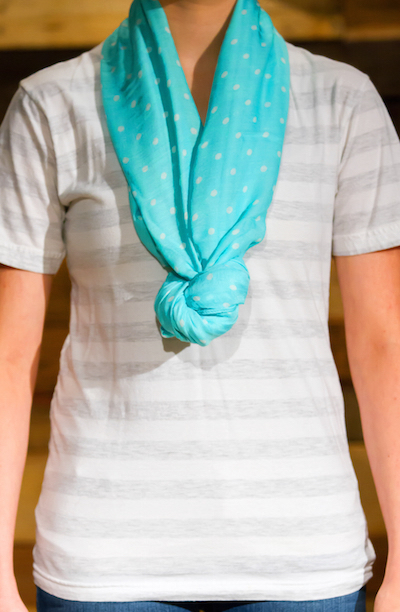 A light and playful infinity scarf is the perfect thing to wear over you bikini. It’ll keep you cool, chic and help prevent sunburns! 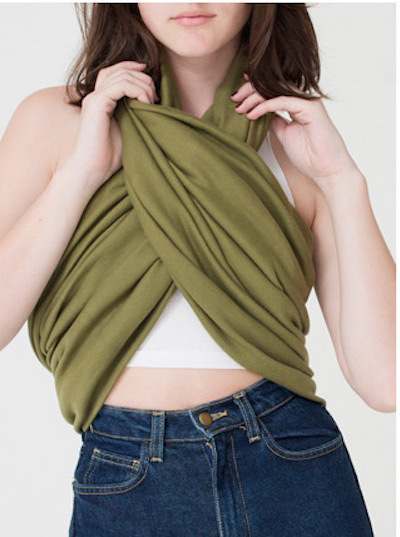 Another unique and beautiful way to wear your infinity scarf. 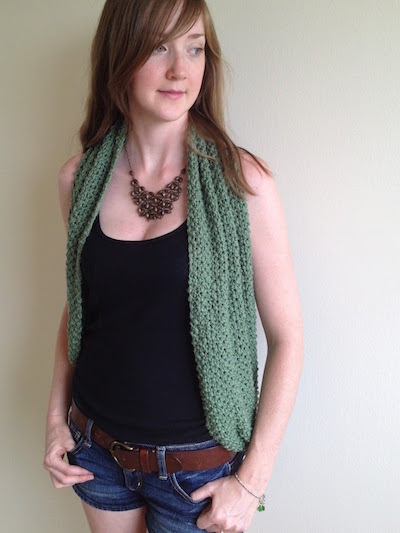 It works as a simple vest as well! 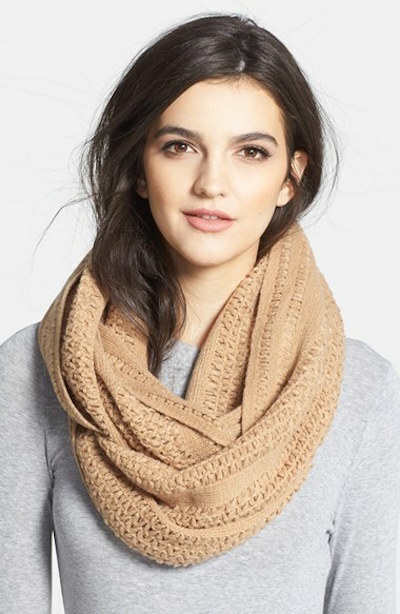 Cozy, cool and collected, this look is a great impromptu way to get your hair out of your face. It’s easy and way cheaper! Why wouldn’t you? Another chic look that anyone can pull off! Make sure this outfit is secure before you venture outside! 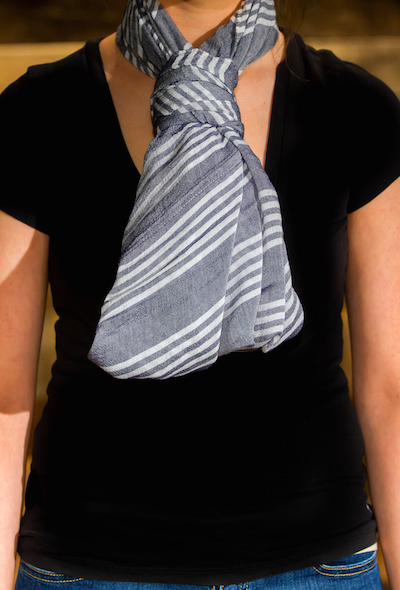 Surprising and trendy, there are many variations of the infinity scarf shirt. 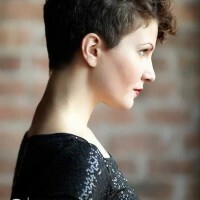 First, this articles is pretty darn good, I did learn a few new tricks. 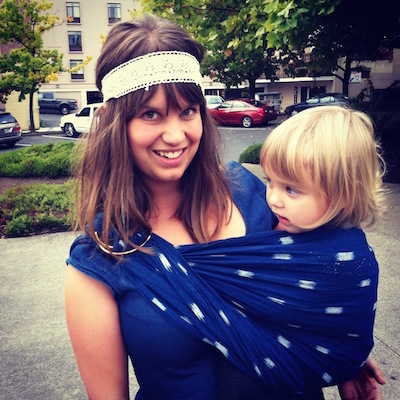 I do want to address you reference to wearing a baby in an infinity wrap though. It is INCREDIBLY dangerous to try to wear your baby in a scarf. 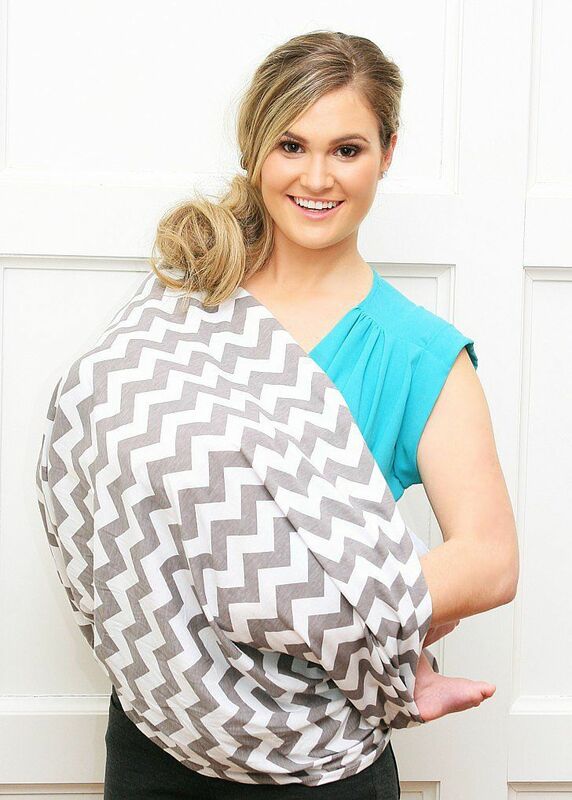 The picture you used is of a Maya Wrap Ring Sling, made of a specially woven fabric specifically for carrying babies which is sewn with reinforcing stitches at all seams. 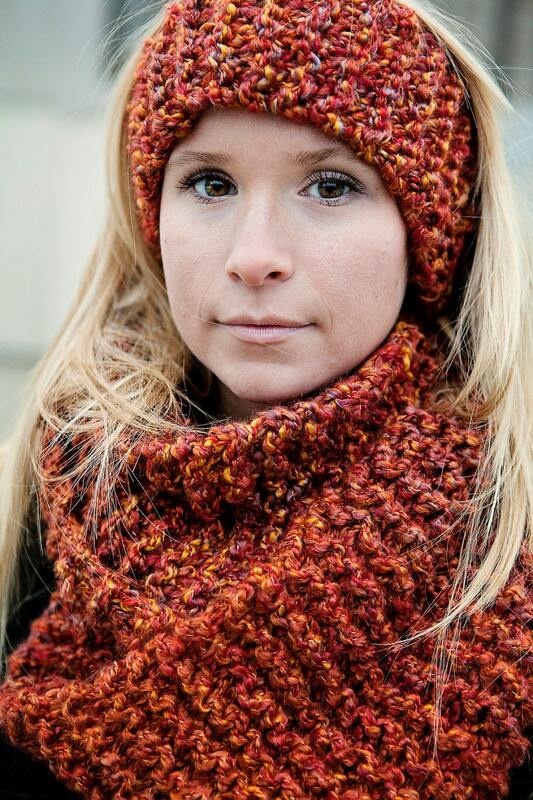 Suggesting that people use their scarves is unsafe, irresponsible, and dangerous. Please remove it from your list. 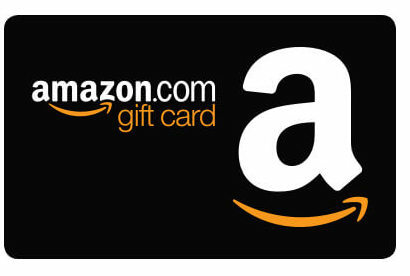 Thanks in advance, I love your site.